In Darksiders III, Luminous Visage items are used to gain a free Level Up on Fury. Players feed Souls to Vulgrim to Level Up, or if they are lucky they can find Luminous Visages. These consumable items will provide 1 Attribute Point once crushed, which can be a godsend if you are getting owned. 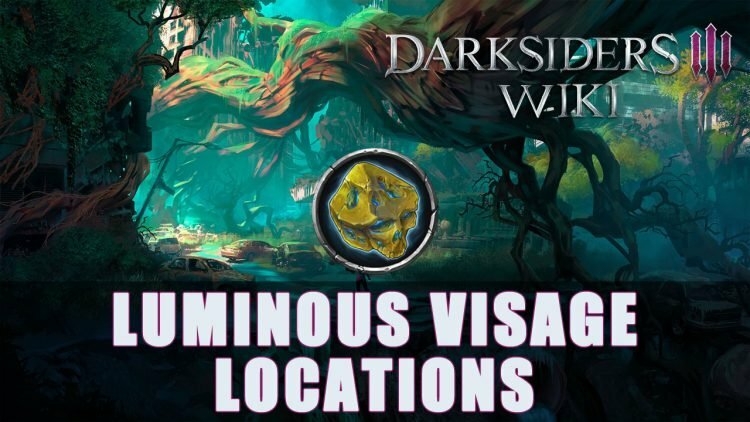 Below are a list of all Luminous Visage Locations with information about each one. Luminous Visages can be found all through out the game, and more will unlock over time as you progress. The higher level you are the more Souls it costs to Level Up, so keep in mind you may want to hang on to these until you are higher level. Found in the lava, below the nearby platform. Located at the foot of the large statue. Tucked away in an underwater room that must be swam to. Up on a balcony above the intersection. Tucked in a cave that must be uncovered by using the bug like bomb. Found while crawling through the vent in flooded hallway. Head towards the South part of the main passageway. It will be inside a room on top. Found in Abraxis’s throne room. Below the platform to the right that overlooks the field. Darksiders III, a hack and slash action-adventure game by THQ Nordic released on November 27, 2018 for PC, PlayStation 4, and Xbox One. If you want more Darksiders content be sure to check out the Darksiders 3 Trophy Guide & Roadmap. You can also read about upcoming content in Darksiders III Will Get Two DLC Packs Post Launch. For all your whipping needs find it here in our Darksiders III wiki.